Feast your eyes on these delicious dishes from Great Britain and Northern Ireland! Ever wondered why people from Liverpool were called ‘Scousers’? It’s all down to this stew, which is made with either lamb or beef. 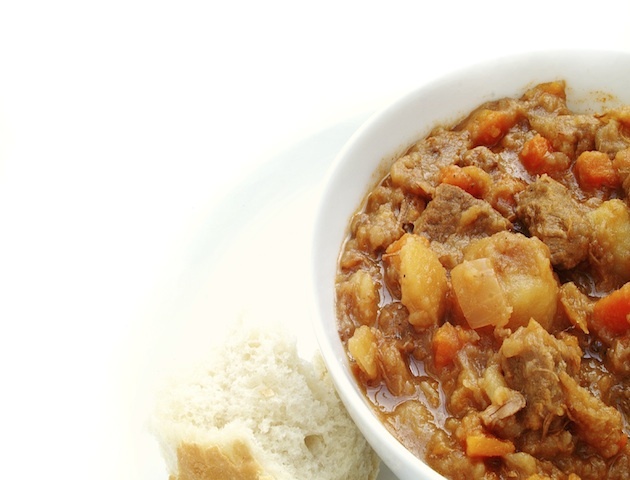 Originally a meat stew called lobscouse eaten by Norwegian sailors, it gained popularity in the poorer areas of the city after being brought over to the UK – outsiders called the fans of this dish ‘Scousers’. You can find a recipe for scouse here. It’s Cornwall’s national dish – the humble Cornish pasty. Diced or minced beef, onion, swede, and potato, then lightly seasoned with pepper and encased in thick pastry, it’s so delicious it was awarded protected status by the EU nine years ago! It was a popular dish with Cornish tin miners, who wanted a complete meal that was easy to carry down the mine shaft. Want to make your own? Try this recipe. 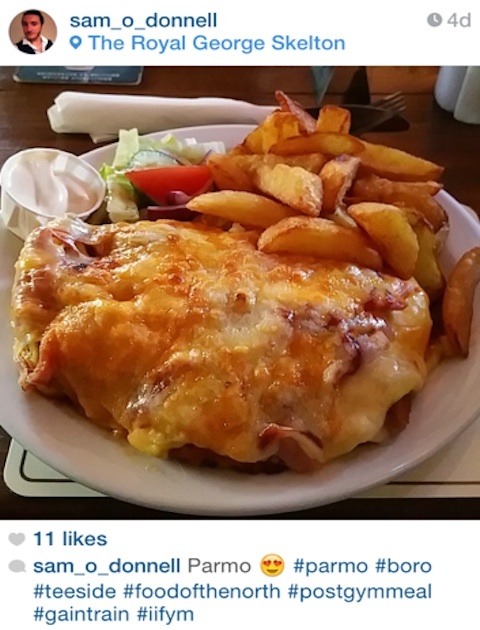 A highly popular dish in the North East, the chicken parmesan, or parmo for short, originated in Middlesborough. It was created by Nicos Harris, a chef with the American army during WWII. After becoming injured, he moved to ‘Boro, where he opened a restaurant selling the dish in 1958. It consists of deep fried chicken topped with béchamel sauce and cheese, and served with chips. It’s usually a post-pub favourite, but if you fancy making it for dinner you can find a recipe here. A savoury pudding made from a sheep’s heart, liver and lungs mixed with onion, oatmeal, suet and encased in a sheep’s stomach might not sound appealing – but if you try it you’ll change your mind! 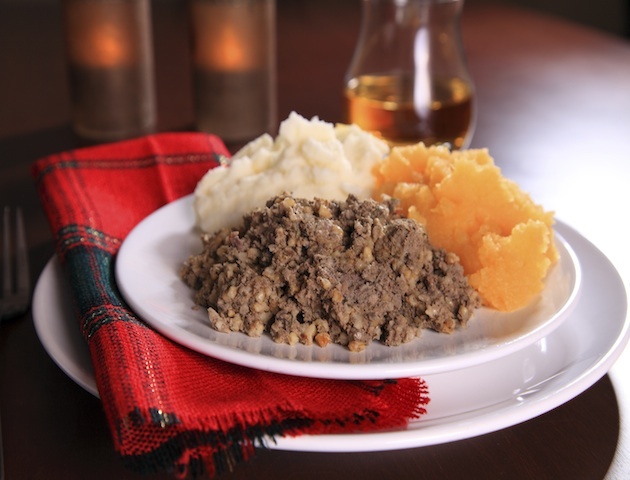 It’s usually served with neeps, aka mashed swede, and tatties, mashed potato, and while enjoyed all year round is particularly popular on Burns Night, 25 January. Find out how to make your own here. This is enjoyed as part of an afternoon tea light meal and consists of tea taken with scones, clotted cream and strawberry jam. 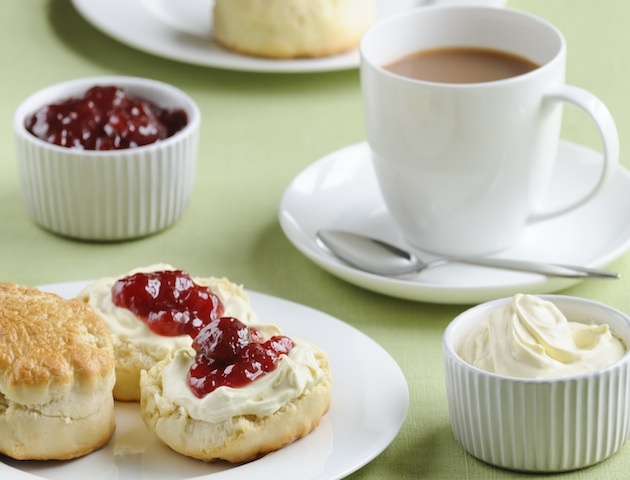 In Devon, the scone is split in two, covered with clotted cream, with the jam spread on top. Butter is generally not included, and the tea is usually served with milk. Many tea rooms in Devon sell it, but if that’s too far to travel why not make it yourself? 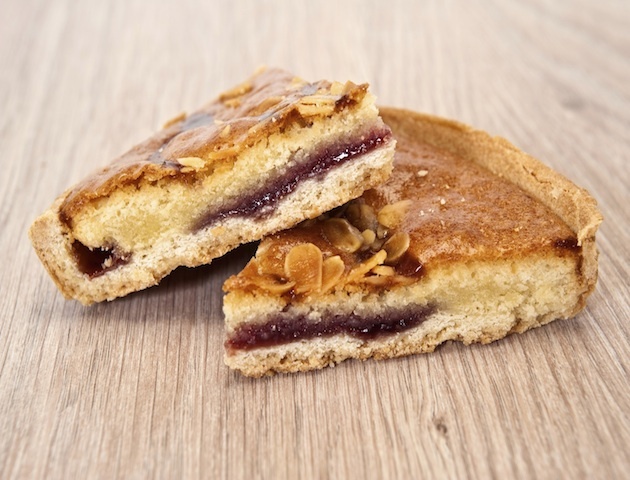 Another afternoon tea treat, this cake has its origins in the Bakewell pudding, a Victorian treat hailing from the town of Bakewell, deep in the Derbyshire Dales. Shortcrust pastry forms the base, then there’s a layer of jam topped with a sponge-like almond filling known as a frangipane.  Want to impress your pals? Find out how to bake your own here. Want to start your day the healthy way? Try kippers for breakfast, oily fish high in brain-boosting Omega-3. And the best kippers in the country? 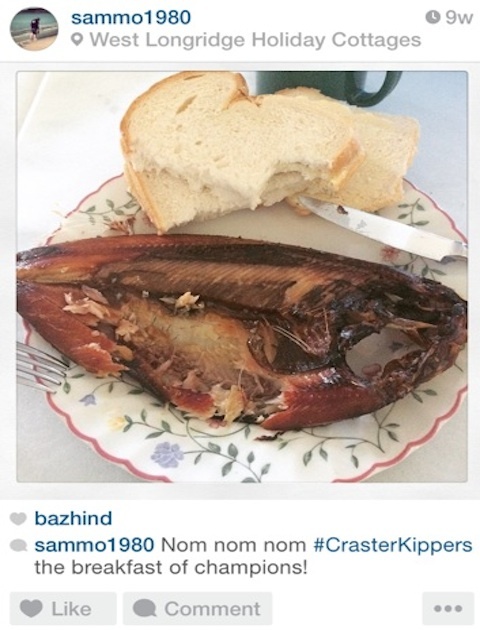 It has to be the smoked kipper, which comes from the Northumberland village of Craster. It has been said comparing the Craster kipper with a common commercial processed kipper is like ‘comparing a fillet steak with a cheap burger’. Well, they sound pretty good to us! Aka ‘Geordie hummus’, this is a savoury dish made of boiled split peas, water, salt and spices. It has a mild taste and goes exceptionally well with ham. Find a recipe here. 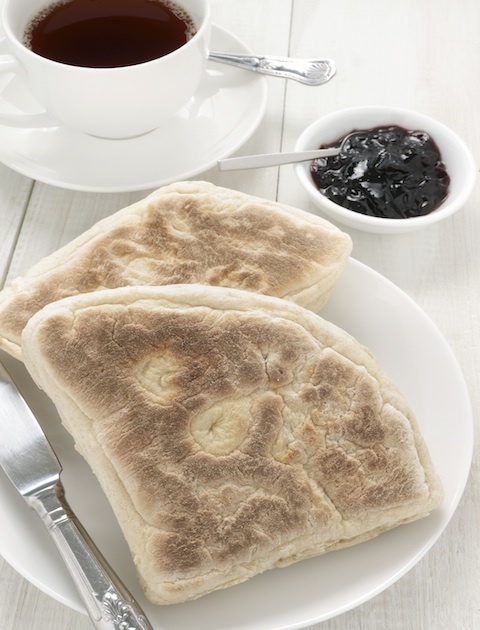 Another thing that goes really well with pease pudding is the humble stottie, a bread which originated in Newcastle. 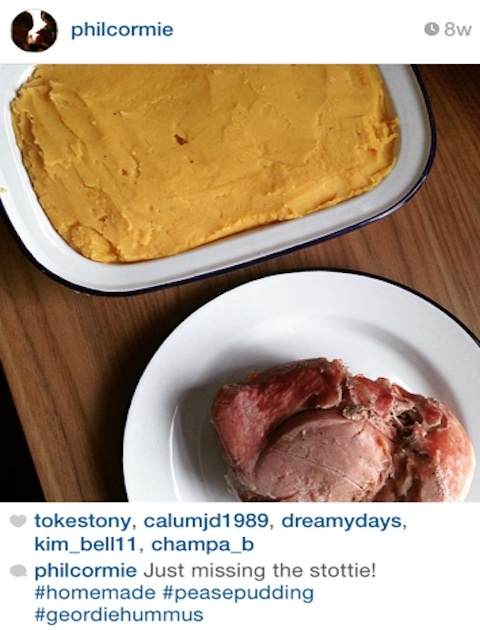 They tend to be eaten split with a filling – pease pudding and ham, or bacon, egg and/or sausage for breakfast. They can be found in many branches of Greggs and Morrisons shops in the North, but if you fancy baking your own then go here. Smelly cheese alert! This cheese, originating in Gloucestershire, was officially voted Britain’s most pungent cheese back in 2009. The stench blew the judges away (almost literally), and was described as smelling like a ‘rugby club changing room’. Luckily the oozing cheese tastes a lot better than its pong! 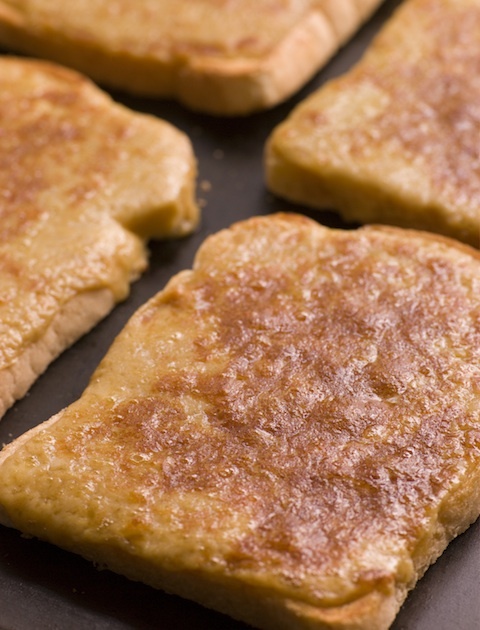 Another cheesy dish, Welsh rarebit is believed by some to be the best cheese on toast in the world – and it’s also one of the most famous dishes to come out of Wales. Cheese melted over bread topped with Worcestershire sauce, mustard, flour, butter and pepper, what’s not to love? Find out how to make your own here. 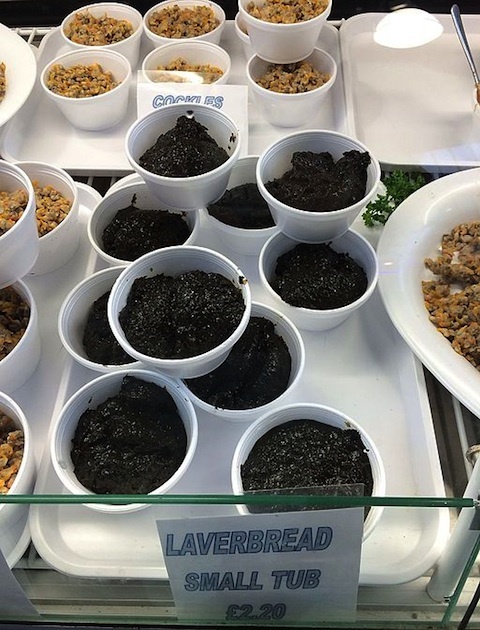 This isn’t a type of bread – laver is actually a seaweed, which is collected from the Welsh shoreline. It’s usually served with shellfish, coated with oatmeal and fried alongside cockles and bacon as part of a Welsh breakfast, or as a topping for hot, buttered toast. A yummy snack! First invented in the Leicestershire town of Melton Mowbray, these pies were popular with fox hunters in the 18th century. These pies have chopped, not minced, meat inside and this is usually grey in colour when cooked. 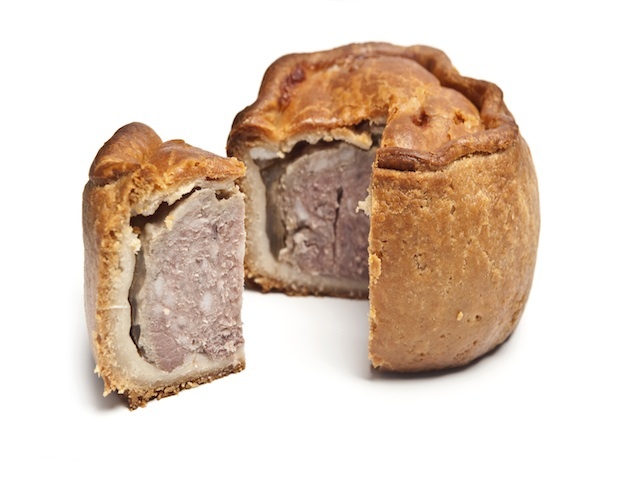 Though these now have protected status, meaning you can’t officially call them a Melton Mowbray pork pie unless they’re made within a designated zone round the town, you can find out how to bake a similar pie here. 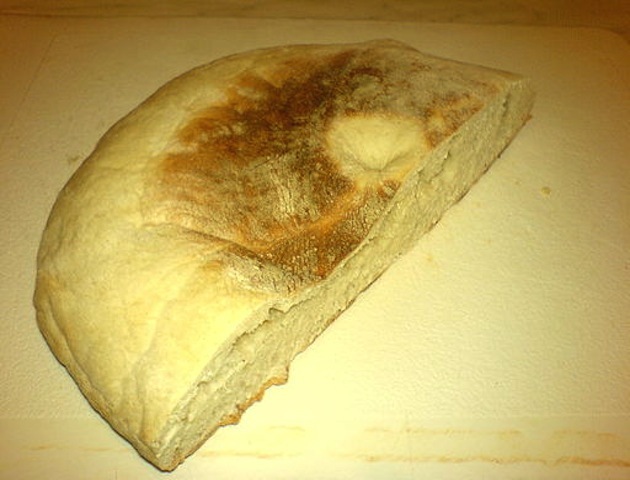 A major part of the traditional Ulster fry, these are a type of flat soda bread, aka bread made using bicarbonate of soda as a raising agent as opposed to yeast. They also taste great with butter, jam and a cup of tea. Make your own here. 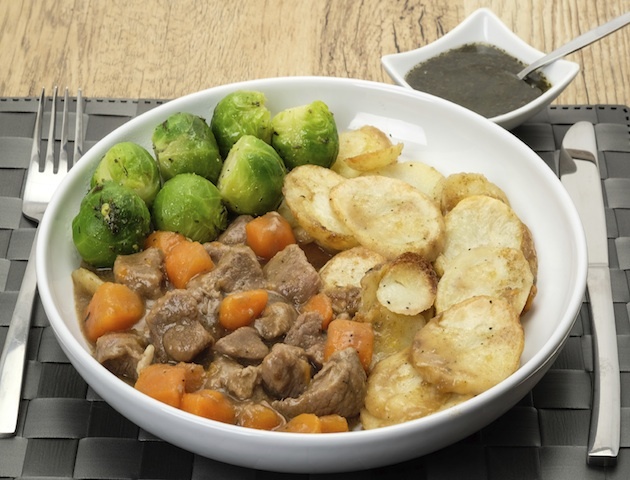 A warming, low-effort dinner for the winter months, this is a hearty stew made from thick cuts of lamb or mutton, onion and carrots and topped with sliced potato, left in the oven all day on low heat in a heavy pot. A nutritious and filling family meal. Find out how to make it here. Which UK food is your favourite, and which ones can’t you stand?